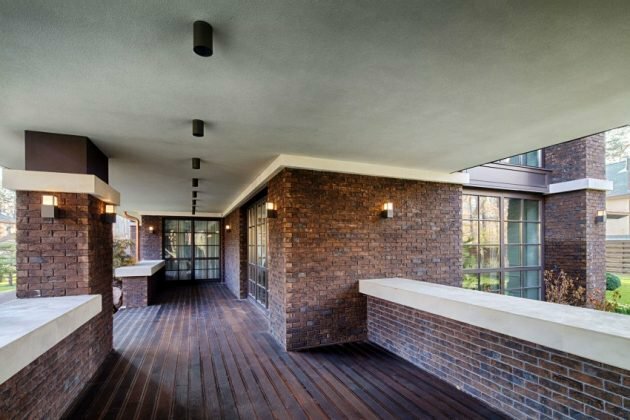 Frank Lloyd Wright houses have had a sweeping impact on contemporary home design. 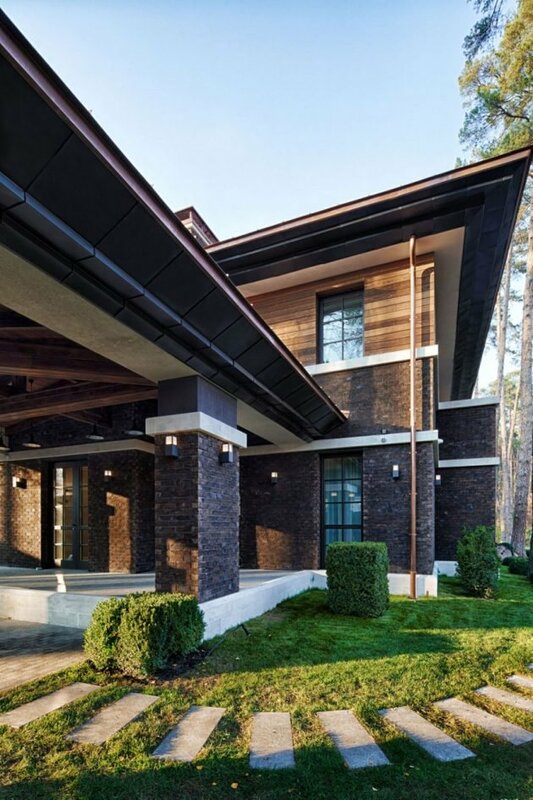 One of the easier ways to prove this is to zoom in on a recently-built home located all the way over in Bucha, a town near to the Ukrainian capital of Kiev. 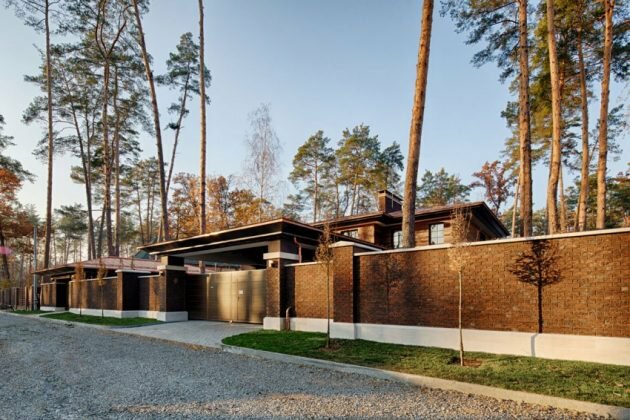 According to the people at Yunakov, ‘The hardest part of the task set before us was to “catch” the style and proportions of the great architect F.L Wright’. 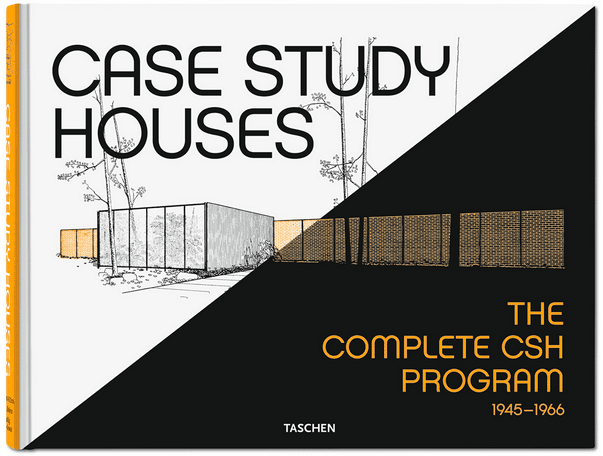 To overcome this obstacle, the firm particularly draw on Wright’s Robie House for inspiration, a home which is considered one of the clearest manifestations of Wright’s aim of ‘organic architecture’, which sought to have a home evoke the landscape in which it was located. You might think that there is little worth in copying such a house, in another place, all the way on the other side of the world. 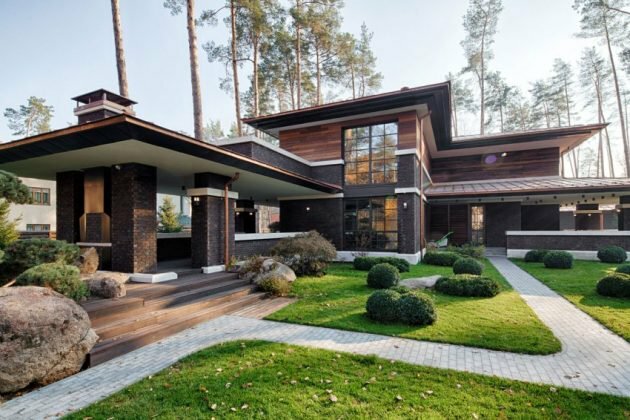 And yet, the Ukrainian landscape is not unlike the American prairies which the Robie House tried to emulate—and which gave the name to this period of Wright’s oeuvre, the ‘Prairie’ style—with its rolling hills and large focus on grain-growing. Indeed, Ukraine has often been nicknamed the breadbasket of Europe due to being a major grain growing area. 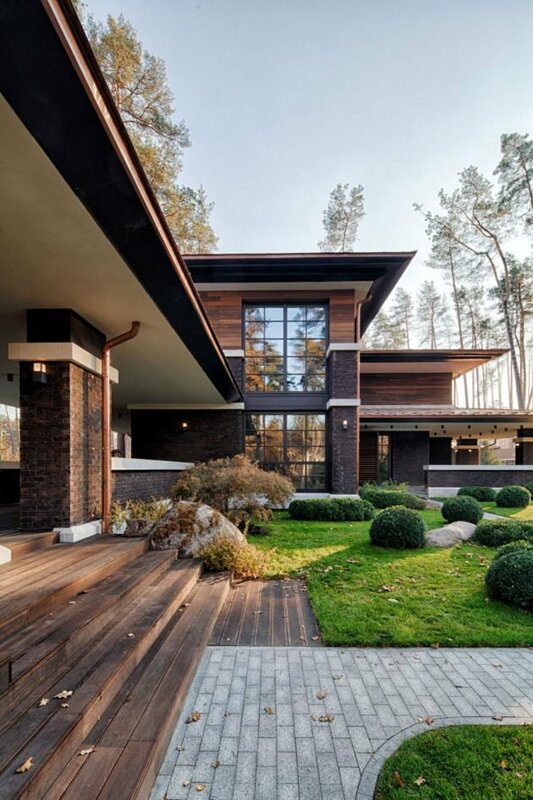 As such, each home features a sprawling horizontal axis to match the sprawling nature of their respective environments. 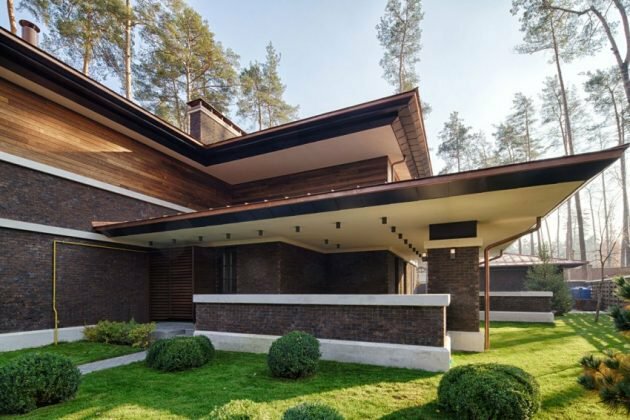 Meanwhile, continuing the focus on organic architecture, the Bucha home also makes particular use of a few materials, namely, brick, copper, and bronze. Moreover, the facade is made of hand-modelled clinker, limestone and natural wood. All this went towards producing a distinctly quiet colour palette, which again captures certain aspects of the surrounding landscape. One last point, the landscaping has been executed with careful reference to the kind of small Japanese gardens we’re all familiar with. 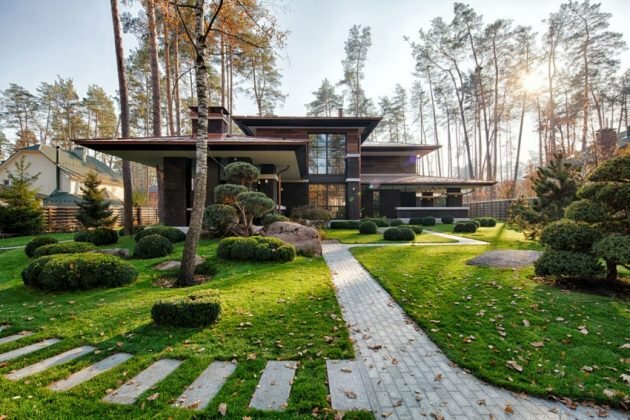 Wright’s Japanese influence is well known, and discussed further in an article we published last year on one of Wright’s acolytes, Kaneji Domoto, yet it is quite touching to see it dutifully recaptured in 21st Century Ukraine. 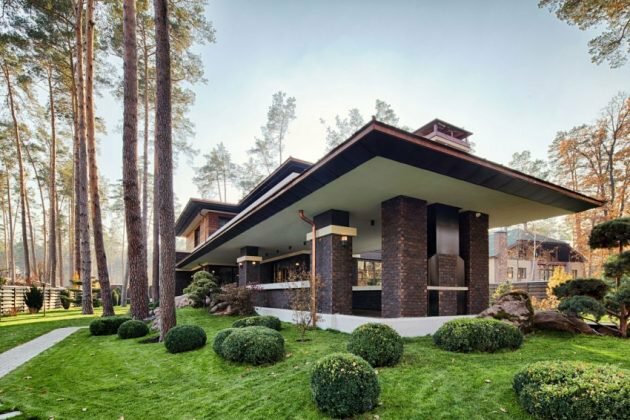 No doubt we’ll be keeping a closer eye on Ukraine, and Yunakov Architecture, since it’s always a pleasure to behold Frank Lloyd Wright style homes.